Update: Bethesda have now confirmed not only Contraptions, but two further Fallout 4 add-on packs for later this year. At their presser, Bethesda have shown off Contraptions coming out next week, Vault-tec (July) and Nuka-world (August). There’s a trailer for each too. PC player? Why not take a look at some of the best Fallout 4 mods? The trailer comes as part of the big Bethesda game update from the studio itself, seen below. Contraptions, a tricks and traps add-on for settlements that lets you create wacky, slightly dodgy changes. Vault-Tec, essentially Fallout Shelter in Fallout 4, letting you build a vault and play with/terrorise the people within. Small amount of story in there, as well as being a general workshop update. Nuka-world, which not a lot of info was revealed about. It looks like a theme park based around your favourite apocalyptic soft drink. This will be a full story-mode update with a whole new area. That was all we saw for new Fallout info – more likely to follow on blogs in the near future. Original story:It’s E3 time. Today marks the start of the annual E3 conference with its multitude of announcements and surprises. One thing that’s surprising no one right now is that there’s been another leak. This year’s E3 has been a bit of a sieve with every publisher feeling the burn as leaks bring more exciting games to the scene. This time it’s Bethesda taking the impact. The slip up this time is from Microsoft, who has already slipped up twice this week when it comes to Bethesda, offering up Fallout 4 and its DLC for free on the Xbox marketplace. 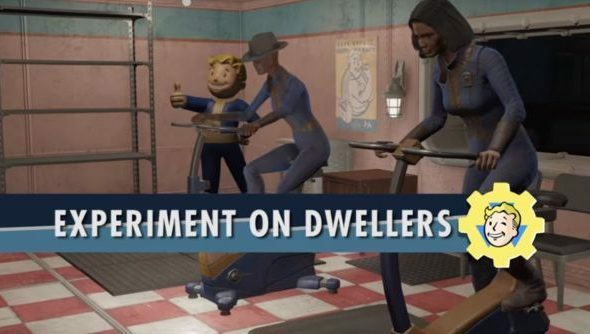 Now, the Xbox marketplace has revealed yet another one of Bethesda’s announcements ahead of time when several users reported being able to download a new Fallout 4 DLC, Contraptions Workshop. If I had to take a guess, I’d say that Bethesda are probably going to announce the DLC during their conference and then immediately release it for fans watching the conference. Last year they released Fallout Shelter live during their conference and they might be doing the same here. Other rumours for tonight include DLC for DOOM, more The Elder Scrolls, Dishonored 2 and other titles coming from the Bethesda conference tonight. It’ll kick off at 3am BST/7pm PDT and we’ll be here all night bringing you the news.